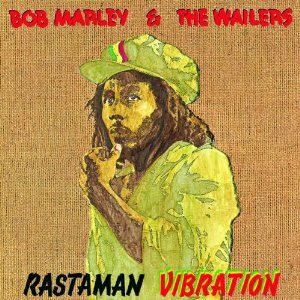 Rastaman Vibration contains fewer of the universally famous Marley songs, but this isn’t a bad thing. When I listen to it, I never experience a slow moment. Johnny Was, Cry to Me, Crazy Baldhead, and Who The Cap Fit are all greats songs for different reasons – tragedy, love, righteousness, and the paranoia of fame. When Bob asks “Didn’t my people before me slave for this country? Now you look me with that scorn, then you eat up all my corn” even though I’ve had a comfortable life, for a moment I understand. War is also transformed from a speech by Haile Selassie into a beautiful, affecting, and rocking protest song. A concert from the LA Roxy in 1976 is included with the deluxe edition of the album. Starting off a concert with Trenchtown Rock is one of the better ideas anyone has ever had. What gets you in the mood better than hearing “One good thing about music, when it hits you (you feel no pain). Hit me with music, hit me with music now”? Even more so than the London show on Exodus Deluxe, the show feels like a religious experience for the audience; repeated screams of ecstasy are heard throughout. Whenever I hear these shows it’s clear a time has passed that may never come again.